Revealed Recordings recently announced the return of its bus tour, continuing on from last year’s successful Canadian debut. 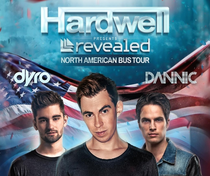 Revealed Recordings boss and DJ Mag's World #1 DJ, Hardwell, will be joined by long-time Revealed family members Dyro (#30 in DJ Mag's Top 100 DJ Poll) and Dannic (#73 in DJ Mag's Top 100 DJ Poll) on a tour bus that will take in 10 USA venues. The parties will include festival-grade production including Aqua's dancing LED water fountains and a water screen complete with projected 3D images. The entire road trip will be covered by their official media partner, DJ Mag. After a big 2013, Revealed Recordings has built a reputation as a leading electronic music brand with a strong focus on supporting and nurturing up and coming DJs and producers. 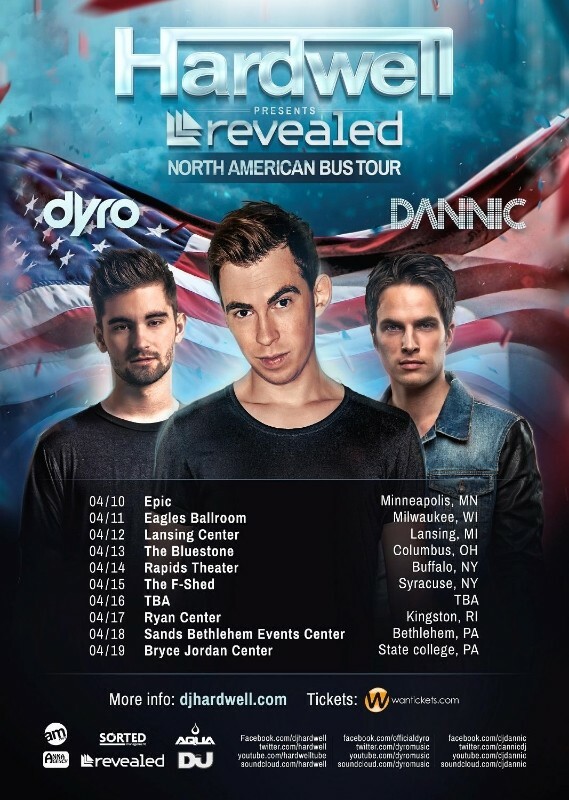 With recently released records from all three artists, Dyro’s ‘Black Smoke’, Dannic’s track ‘Lion’ and Hardwell’s ‘Dare You’ landing in the UK Top 20, fans can expect trademark high-energy sets from the trio, as well as a visual experience tailored for each individual show. Teaming up with Aqua, Hardwell headlines a H20 spectacle, complete with dancing LED water fountains, a water screen projecting 3D floating images, enveloped in festival production.